We are a community of agribusiness professionals who believe education is paramount to keep our state’s grain handlers safe and protect our industry from harmful legislation. Driving through the state of Kansas you can’t look over the water-colored horizon in any direction without seeing tall stacks of concrete in the distance. It’s symbolic the largest structure in nearly every county is also its most important. More than 100 years ago, the breadbasket of the country had to have a place to store all of its surpluses before the grain was dispersed to feed the world. The elevator brought the railroad, which brought relevance, infrastructure and hope that farming in the Midwest could pay off. Grain elevators have evolved a lot since our founders created Kansas Grain and Feed Association in 1896, but one thing hasn’t changed – the importance of the elevator to our communities. That’s why our founders set out to protect these tools from legislation that could not only shut down the elevator, but inadvertently, a whole town. We’re proud to carry on a nearly 125-year tradition of defending our state’s most important assets, which in turn, protect you. We’re producing a community of individuals who are proud to stand up and educate lawmakers and the general public on the importance of the grain and feed industry to the state of Kansas – and the world. Our training programs are second to none. We aren’t going to waste your time … At our conferences, you’re going to learn. 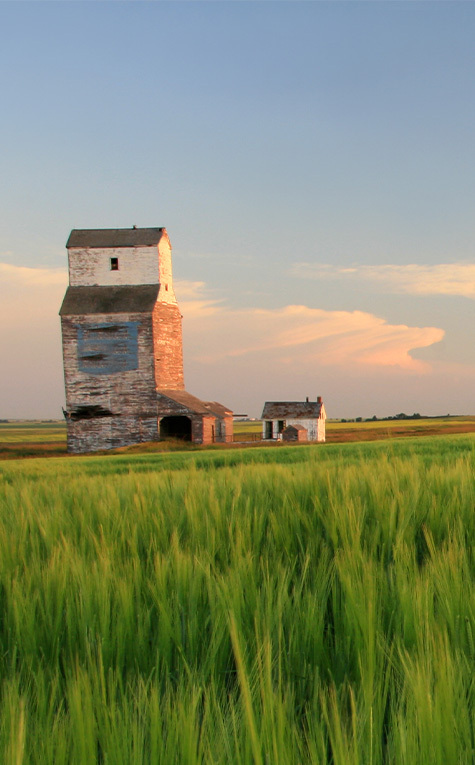 We offer an assortment of training opportunities, all the way from grain grading, to elevator maintenance, to interpreting rules and regulations. Whatever you need continuing education on, you can find it here. Our favorite part of gathering with our members is recognizing individuals and organizations who have taken a great amount of pride in protecting the best interest of the Kansas grain and feed industry. Any member or employee of a member company, now retired, who was active within the grain and feed industry during their career. Any person, firm or corporation primarily engaged in buying, selling, brokering, warehousing and processing grain, feeds, seeds, or related products in the state of Kansas. Click the button below to calculate annual dues. Any person, firm or corporation associated with, but not primarily engaged in buying, selling, brokering, warehousing or processing grains, feeds, seeds or related products. Any associate branch location or sales representative who falls under a current associate member.